I've been working on this thread for a bit now, and I've tried to compile as much information as i could find. Also, i've tried to set the record straight on some points that seem muddled regarding the Daewoo. This is a very interesting firearm series. The K2 and K1 were the first two military rifle designs ever developed in South Korea, and the K5 was the first pistol. What Daewoo did was simple; it took what it considered the best features from all the other military rifles then existing in the world. One can find bits of not only the AR15 and AK47, but also the FAL, FNC, and even a dash from the G3/HK33. As for the e, its inspirations were the S&W Model 59, Beretta 92F, FN High-Power, and even a bit from the Walther P38/P1 series. More than that though, while many other militaries in the 1980s were adopting rifles they would rarely actually use in combat, South Korea had (and still has) a very real threat on its northern boarder. So when it adopted a military long arm, it was adopting something that could very well be used in an all-out war. Today, both the K2 and K1A are battle tested and prooven designs. This article will take a look at their development, service, and the semi-only versions which were once available to us Americans. Today, the Daehanminguk Gukgun or Republic of Korea Military is one of the largest militaries in Southeast Asia and is the 15th largest in the entire world. It has roughly 3,600,000 personnel, with 630,000 being fulltime active in uniform. 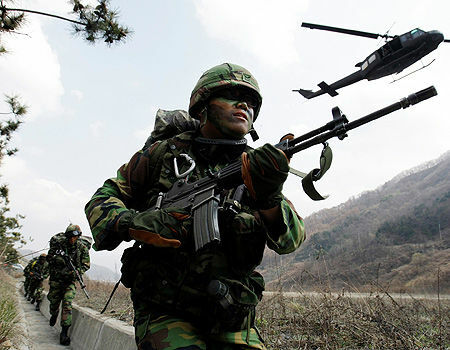 Korea's modern military was established in 1948, with the express purpose of defending the nation against communist threats (most notably North Korea of course). The Koreans faught side-by-side with American soldiers during the Korean War, and prooved themselves dedicated and intelligent fighters. Originally, ROK units were equipped with WWII era US firearms such as the M1 Garand, M1 Carbine, M1918A2 BAR, and M3A1 Grease Gun. The USA "loaned" tens of thousands of these firearms to Korea, which its military continued to field throughout the 1950s and 1960s. However, many were becoming quite wornout and the designs were increasingly obsolete. The ROK needed a new and more modern rifle for its troops. In 1971, the ROK government reached an agreement with Colt and the US government to produce under license the M16A1 assault rifle. 1,166,000 were to be built for exclusive use by the military. Korea would not be allowed to export to other Asian nations though. Colt built the first rifles under the Model 603K designation, and then transfered blueprints, tooling, and materials over to the South Korean Agency for Defense Development. In 1972, a sight in Pusan was selected to build a new smallarms factory. This area was chosen as it was very defensable and had access to major supply lines. The new factory was a turnkey operation, setup with mostly tooling and material provided by Colt and the USA. It was known as simply "South Korean Arsenal" and was wholely owned by the ROK government. 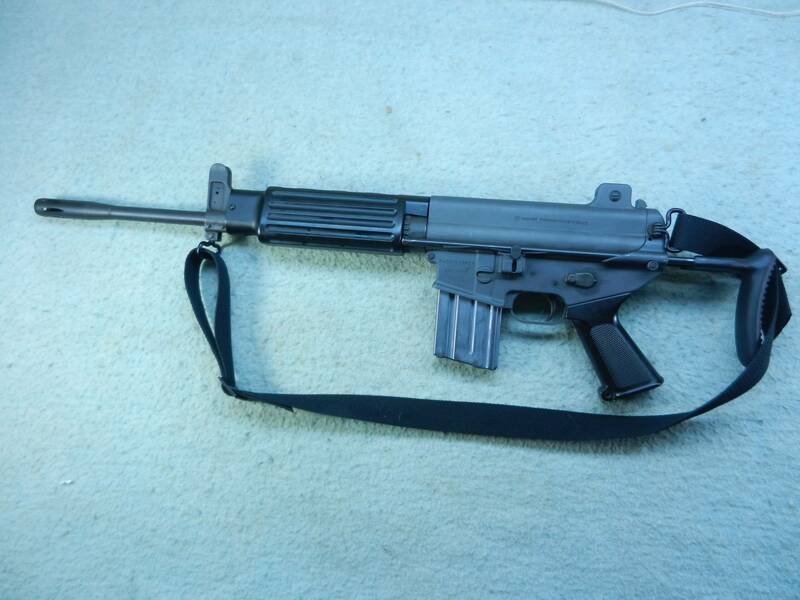 By 1974, the ROK military was beginning to field the domestically manufactured M16A1. It was generally well received, and was the first modern military firearm to be built in Korea. The run would conclude in 1984, with the goal of over a million rifles met. Today, all of these rifles have been retired from frontline/active military service, however several are still used for training and others are issued to reserve units. 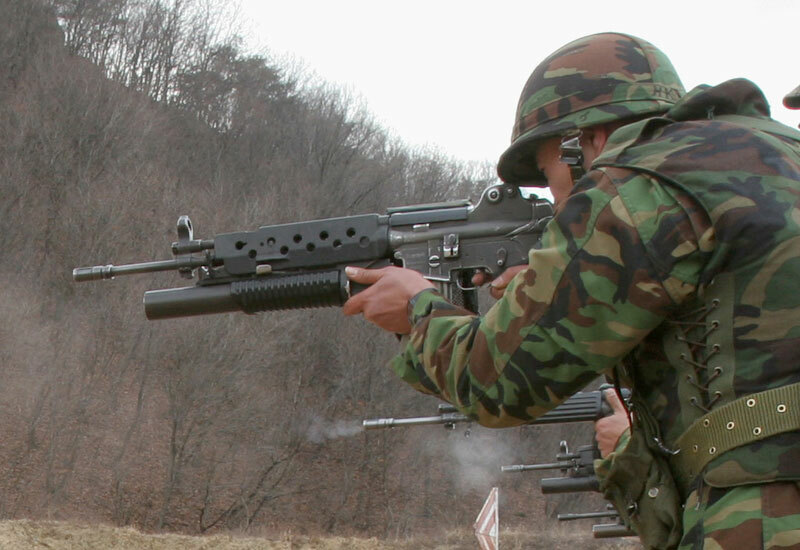 The K1A is the standard issue submachinegun or carbine for all branches of the Korean military. In 1976, the ROKA Special Warfare Command requested a new submachinegun be created to replace the outdated M3A1 Grease Gun. The new firearm needed to be more powerful than the M3A1, be lighter, be more ergonomic, and able to be produced cost-effectively. By 1980, the first XK1 prototype was given to the military for field testing. 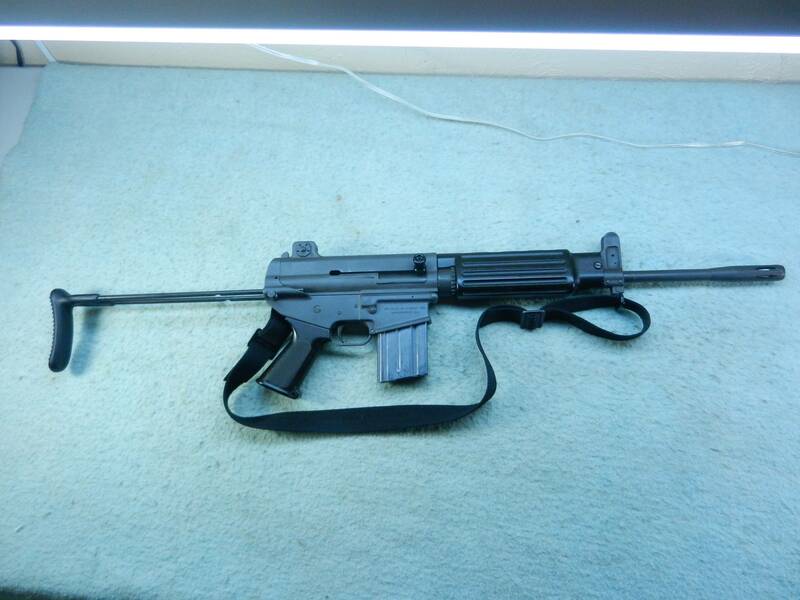 It was quickly adopted as the K1 SMG and went into production in 1981. 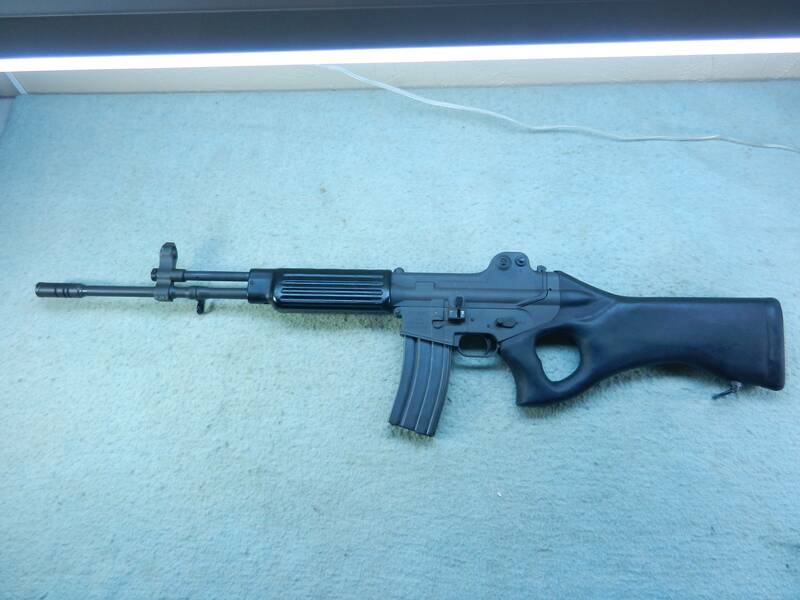 The new K1 was a milestone, as it was the first military firearm to actually be designed and manufactured in Korea. South Korean Arsenal was joined with the growing Daewoo Corporation and renamed Daewoo Precision Industries Co. It was a subsidiary of Daewoo but was still owned by the ROK government. It was tasked with building the new weapon to arm all branches of the military. It used its experience and tooling from building the M16A1 as a springboard for the new SMG. 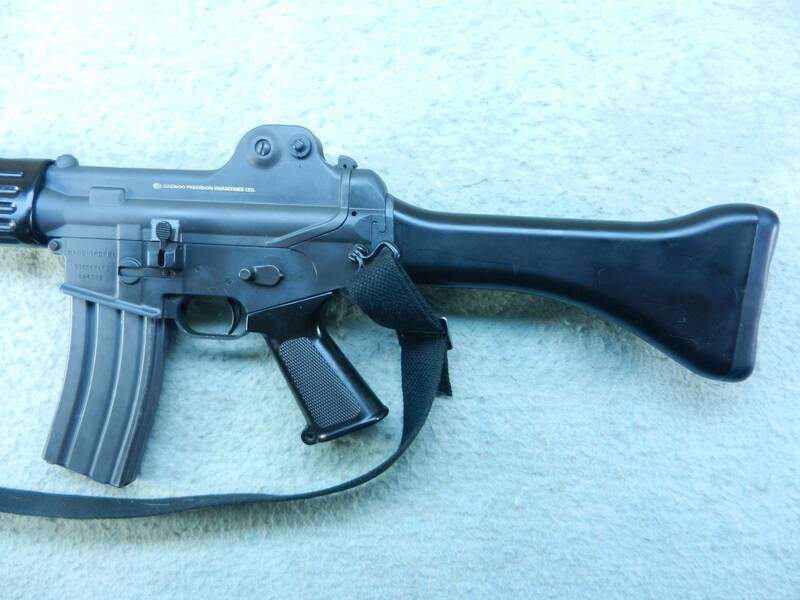 Not surprisingly, the K1's design was heavily influenced by the M16A1. It fired the 5.56x45mm (.223) cartridge, with a bullet weight of 55g which was still the standard in the early 1980s. It used an upper and lower receiver set made from forged aluminium, and cycled with a direct impingement gas system. The rotating bolt had 7 lugs and was moved via a carrier with a gas key. The barrel was 10.5" long, with a 1 in 12 twist rate and 1/2x28 thread pattern on the muzzle. It was capped with a slotted birdcage flash hider. Its FCG was very similar to the M16's; with settings for safe, single shot, and automatic. 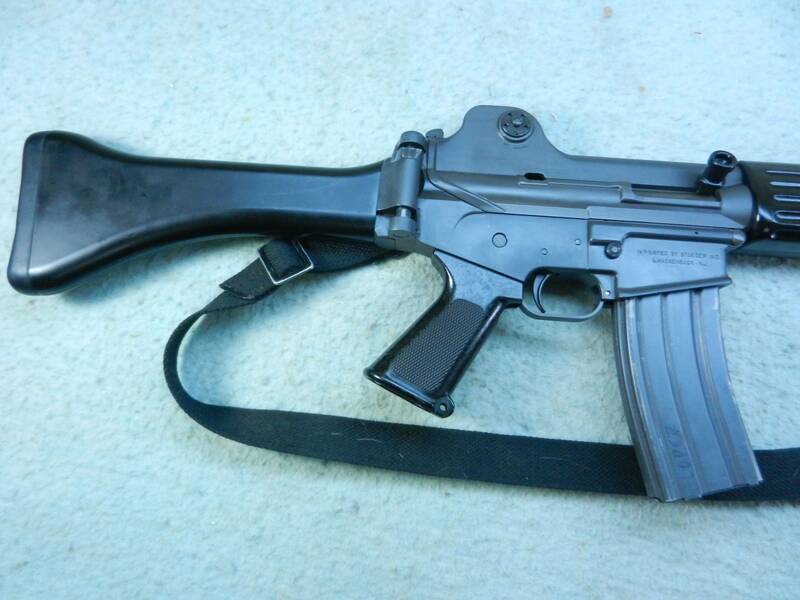 The pistol grip was M16A1 style, and the K1 fed from standard M16 magazines. Even its controls, such as bolt release, mag catch, and safety were very similar to that of the Colt's. The trigger guard, while of a different shape, could be folded down and did so exactly like the one on the M16. The front sight was an adjustable post set into an open eared gasblock. The rear sight was a flip type with 2 different apertures, and a windage drum on the right side. As with the M16A1, the drum could only be adjusted with a tool or bullet tip; not by hand. However, the K1 was far from a copy of the M16 or CAR15. Daewoo did have some rather radical ideas. For one, it utilized a fixed spring loaded ejector mounted in the lower receiver, rather than being part of the bolt itself. This gave the weapon very positive ejection. There was a small but effective brass deflector located behind the ejection port, which insured that casings were sent forward and not straight out to the side. 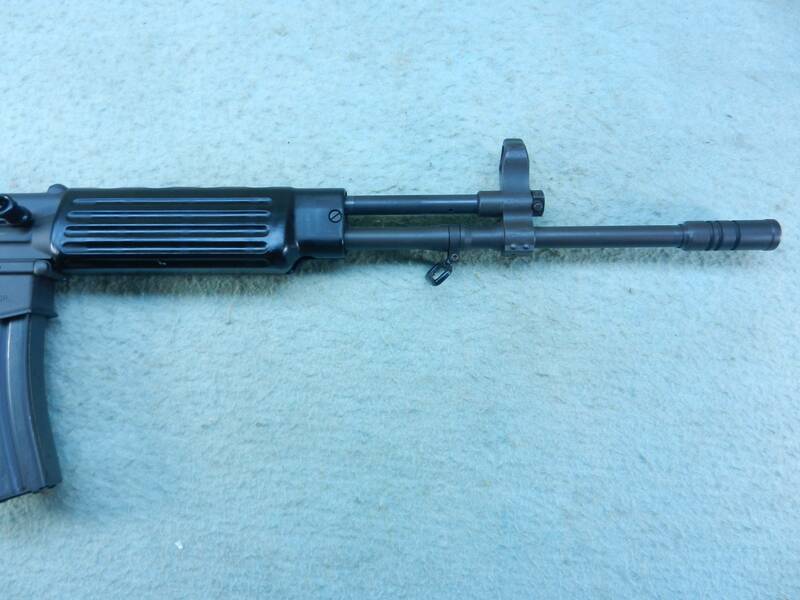 The polymer coated charging handle was AK style and reciprocated with the bolt group. 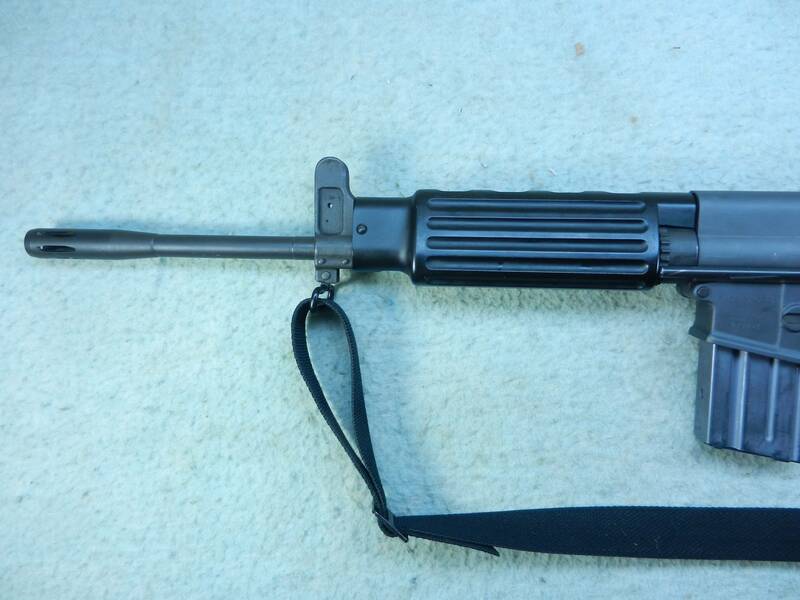 The handguard was more like that of FN's FAL or FNC, than anything found on an AR15. It was more durable and ergonomic. The grip while like an A1, could house a cleaning kit inside; very similar to the one found in later FN FALs. The K1's recoil/bolt return system was totally different too. It had a dual guide rod and spring system, which was located entirely in the upper receiver (one might say it was inspired by the AR18). To soften felt recoil, a secondary buffer was located in the lower receiver too. 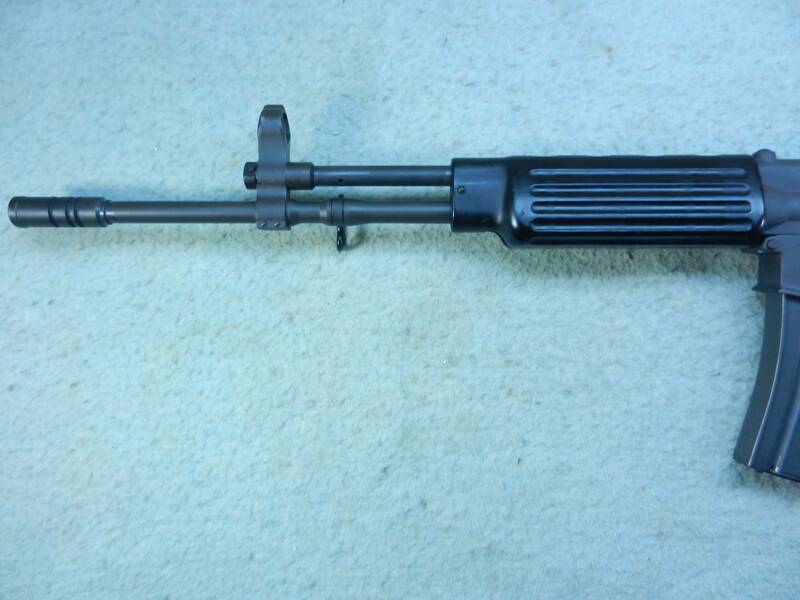 This system did not require a receiver extension (buffer tube), so the K1 was able to have a fully collapsible stock. The stock was inspired by the one found on the M3A1, and it was made of thin tubular steel. It fully retracted and had 3 positions. The buttplate was made of rubber with a checkered pattern. The stock was simple and easy to manufacture, and is honestly more comfortable than it looks. The front sling swivel was mounted under the gasblock, and the rear was on the left of the lower receiver. 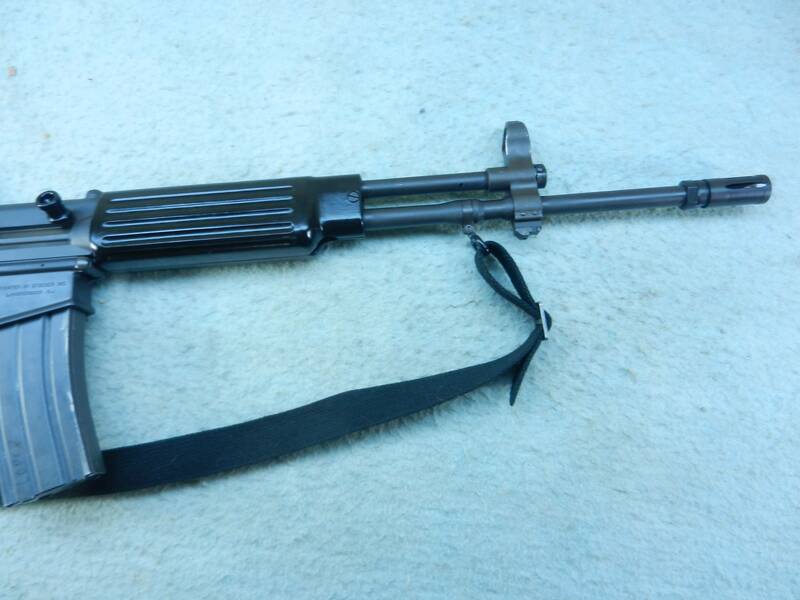 Since officially the K1 was an SMG, it could not mount a bayonet or fire rifle grenades. The K1 was a very light, short, and reliable little package; powerful too thanks to its caliber. At first it performed well, but soon some problems came to light. Soldiers were reporting excessive muzzle flash, difficulty in controlling it in automatic, excessive felt recoil in automatic, and occasionally the wire stock would fail. Unit armorers were noting rapid wear on many of the small parts too. These could have been major issues, which might have cost millions to resolve, or not. As it turns out, they could all be addressed by a change in muzzle device. In 1982, Daewoo introduced a device with 3 slots positioned a-symetrically at 11:00, 1:00, and 3:00 o'clock. What this pattern did was to also act as a muzzle brake as well as a flash hider. This reduced felt recoil and muzzle climb, which in turn reduced the strain put on the stock and other parts. The weapon's muzzle flash was also reduced, which aided soldiers working in low light situations. All in all, it was a simple and elegant solution, that saved the platform. 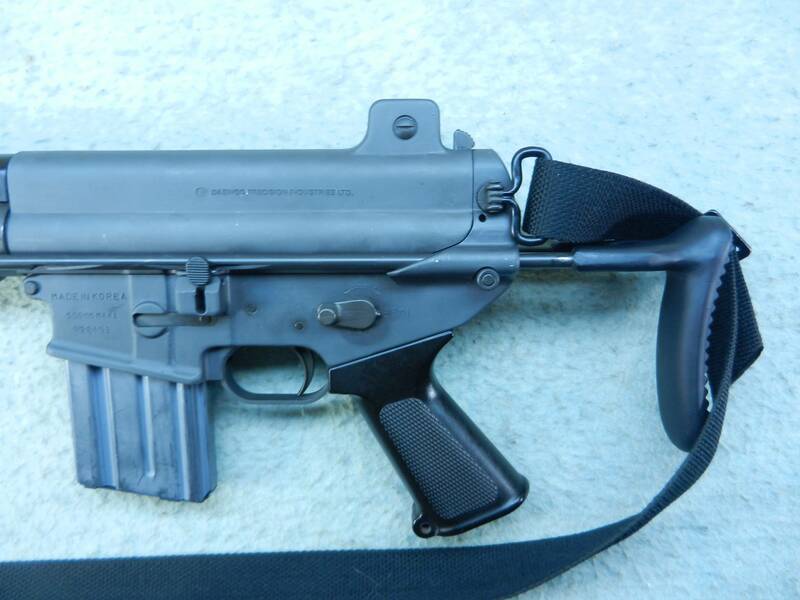 While they were at it, Daewoo engineers also introduced a new 4 position fire control group for the SMG: safe, single, 3 round burst, and automatic. Interestingly, the selector could be rotated either direction too. 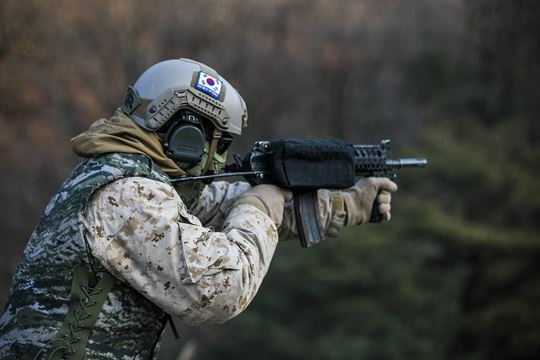 The ROK military designated the firearm with the new pattern of flash hider as the K1A, and all older K1s were upgraded with the new device and FCG. It was primarily issued to non-combat support personnel and special forces units requiring a compact weapon. It was stored onboard tanks, and used by many vehicle drivers as a personal defense weapon. Also the ROK Infantry Marines have issued the K1A in large numbers when the situation has called for it. The Navy and Air Force both deploy the SMG too. The K1A is still in active service with all branches of the ROK military today. It has been used in numeris boarder skirmishes with North Korea, as well as in UN peace keeping actions and in the Iraq War. That said, there are some plans to replace it with the more modern K2C, but as of yet this has not occurred. 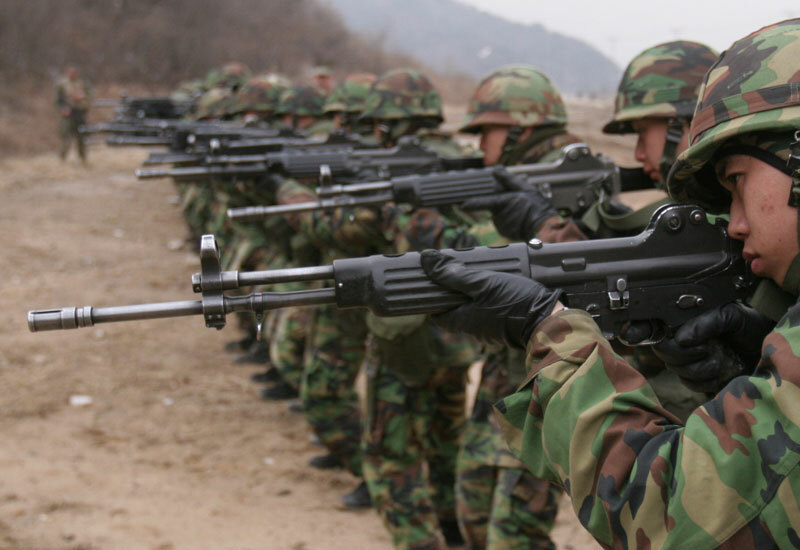 The K2 is the standard issue rifle for all branches of the Korean military. Its development began back in the mid 1970s, with president Park Chung-hee, who wanted Korea to be more independent and self-sufficient. He introduced several programs and directives to this end, including promoting the development of a domestically created standard issue infantry rifle. As a result, the XB rifle project was launched in the mid 1970s. South Korea Arsenal (later Daewoo Precision) created at least half a dozen prototypes for testing, and the most promising was the XB6. The XB6 was improved and became the XB7, which in turn was refined and became the XB7C. In 1982, the XB7C was redesignated as the XK2 and was sent to the ROK military for field testing. It was well received and prooved itself to be an excellent assault rifle. It was officially adopted as the K2 in 1984, and began to be issued on mass in 1987. The K2 had many features carried over from the K1A, including flash hider, handguard profile, ejector, bolt, fire control group, and pistol grip. 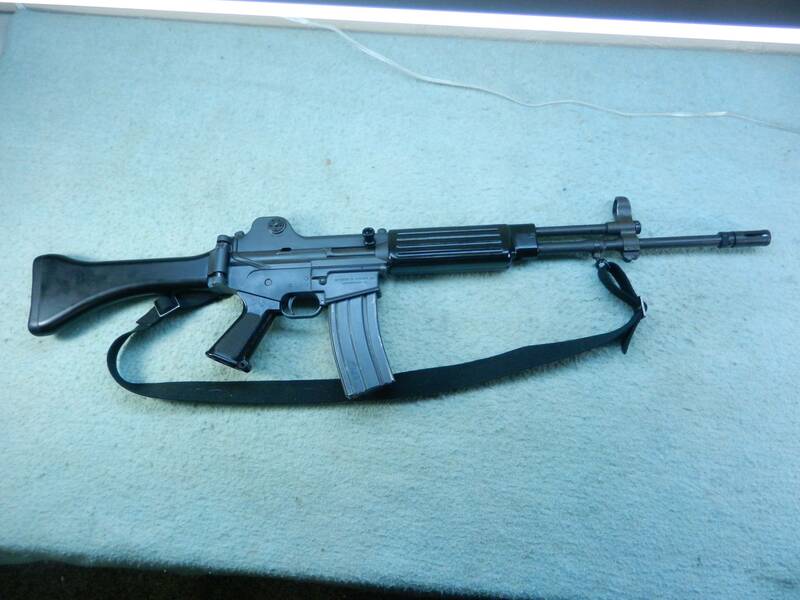 Also like the K1A, the K2 was built on machines originally provided to Korea by Colt a decade earlier. Its upper and lower receivers were of a similar pattern but not identical. The takedown button was the same, but a new safety lock switch was introduced early in production. The most important difference between the two designs was with the operating system. 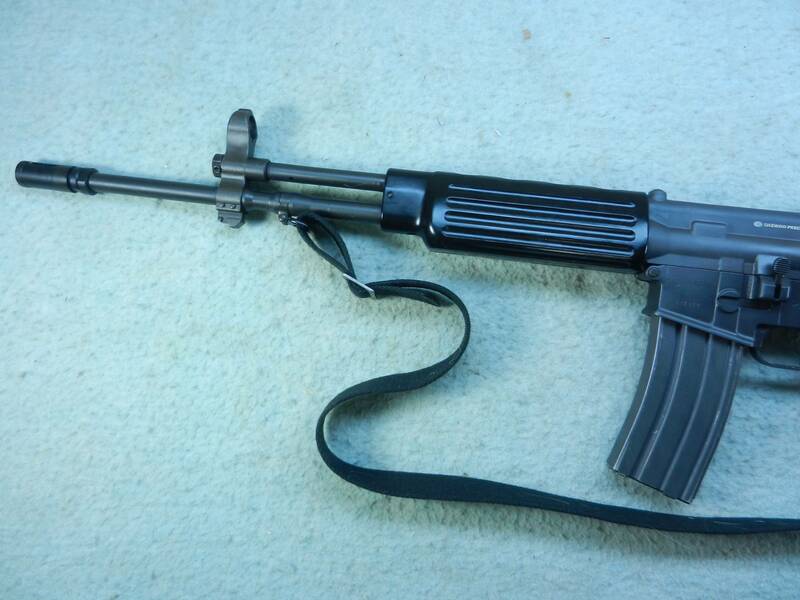 The K2 used a long-stroke gas piston system, which was inspired by that of the AK47. To go along with this, it used a guide rod and spring very much like the AK's too. The K2 had an adjustable gas system, with a 4 position regulator (L = full gas, M = medium or normal gas, S = reduced gas, and O = closed or off). These systems combined to make the K2 very reliable and able to fire virtually any 5.56mm or .223 loading found in the world. It also allowed it to function in the hot desert, steaming jungle, high-altitude mountains, and frozen tundra. The new rifle had a 18.5" barrel, with a 1 in 7.3 twist rate to stabilize heavier bullets. 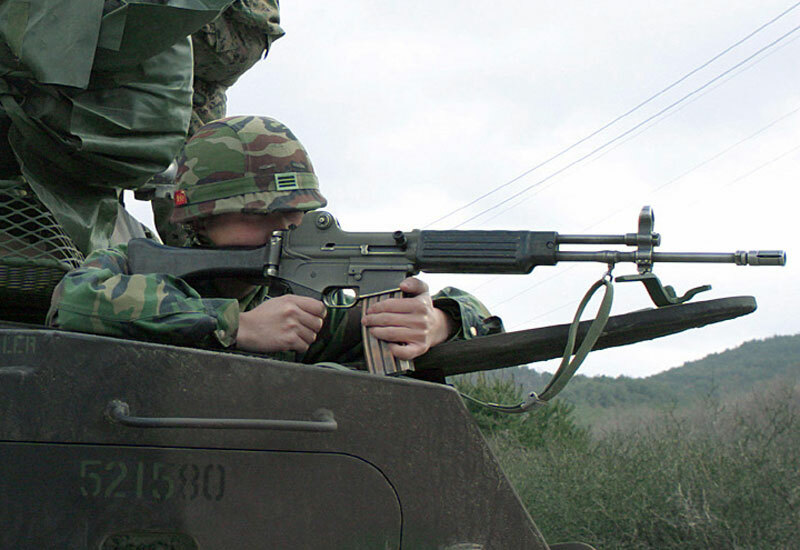 It took a standard NATO (M16) type blade bayonet and could launch 22mm rifle grenades. The front sight was a fully inclosed fixed post, not unlike that found on the HK G3. The rear was a fully adjustable aperture, with range settings for 250 m, 400 m, 500 m, and 600 m. The upper receiver came standard with mounting points for an optic system (later used with a milspec Picatinny rail). The gas tube had two releaf holes, located in the same spots as on the FN FAL. The front sling swivel could rotate nearly 360 and the rear was mounted on the left side of the receiver and could rotate about 45 degrees. One of the rifle's best features was its buttstock. 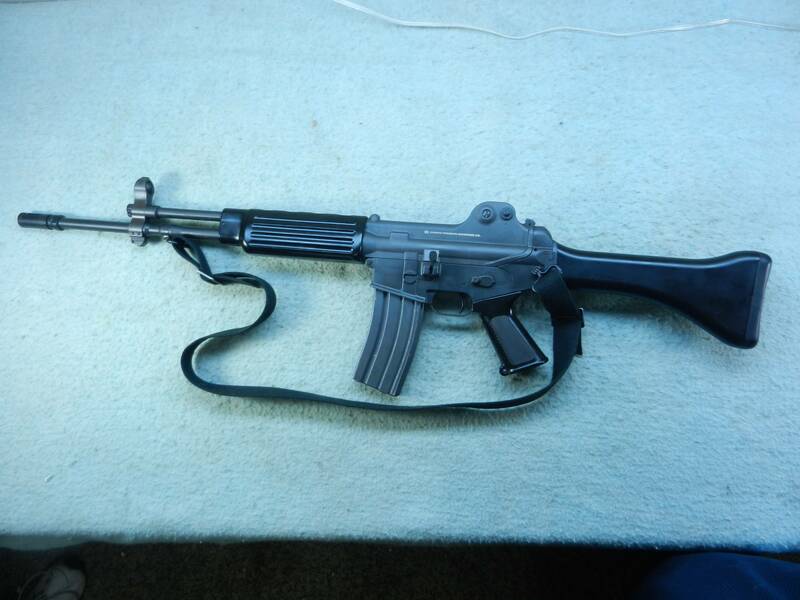 It used an FN FAL Para style henge, which allowed it to lock up to the point of feeling as solid as any fixed stock. To fold, simply press down on the stock and rotate. To unfold and deploy, just grab the end and pull back towards the shooter. 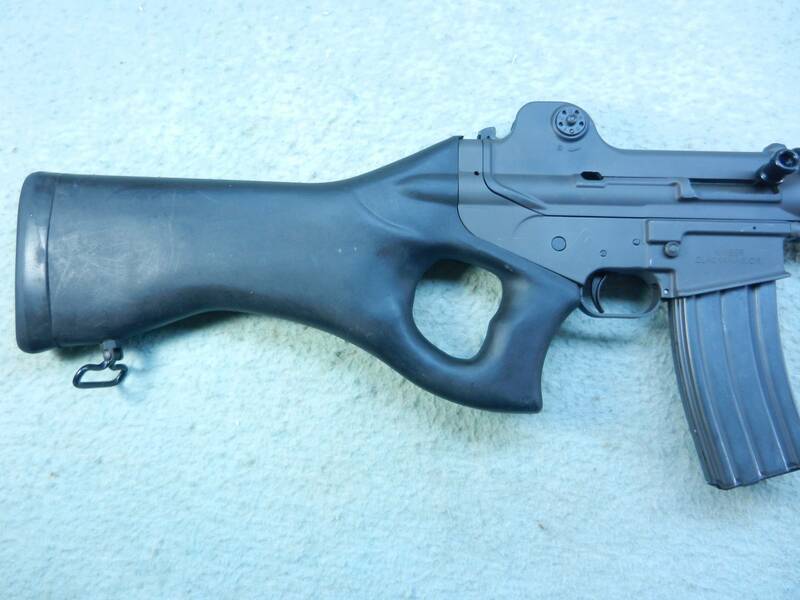 The stock itself was made from a very tough and sturdy bakelite type polymer. It allowed for a very good and natural cheak rest, and had a thick rubber buttplate for comfort and to keep it firm against a shoulder. The K2's stock really was a superior design. 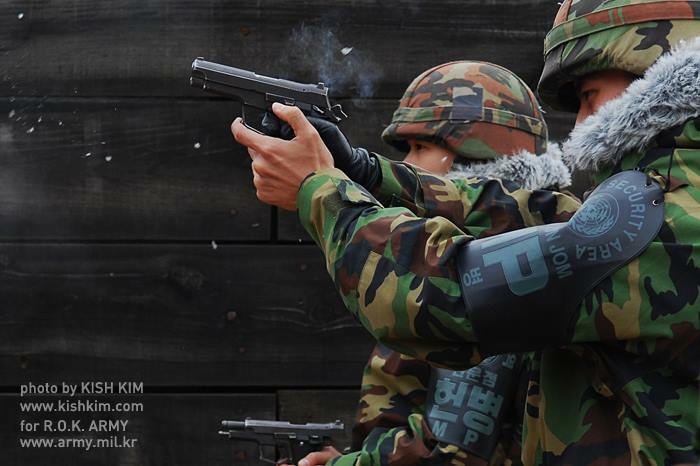 The K2 is the standard issue rifle throughout all of the ROK military. Hundreds of thousands are in service and have prooven themselves time and time again over the past 30 years. It is issued with a Picatinny receiver rail as standard equipment for Marines, and Recon units often deploy it with a quadrail handguard system. In 1999, the Daewoo Corporation filed for bankruptsy after the East Asian stock market crash had taken a heavy tole. Its departments, including Daewoo Precision, were broken up and sold off. In 2002, S&T purchased most of the assets of the firearms division, and in 2006 it was reopened as S&T Daewoo. Today the company is known as S&T Motiv Co. after again changing its name in 2012. It continues to build the K2 and K1A, and has even introduced a few more modern variants. For example the K2A comes standard with an M4 type collapsible stock mounted to a K1A pattern lower receiver, and has a receiver rail and quadrail handguards. The K2C is the carbine version of the K2A, and has a compact 12.5" barrel and shortened gas system. At this time, it seems likely that the K2 will be replaced in the ROK military by the K2A, and the K1A by the K2C; however as of right now nothing has been made official. 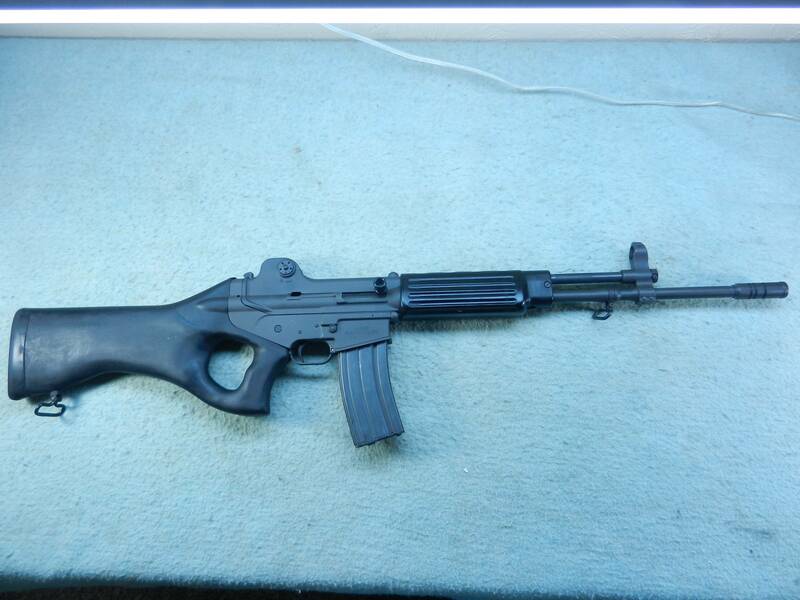 From 1985 until 1997, civilian legal, semi-automatic only variants of the Daewoo rifle were exported to the USA. The first were imported and sold by Stoeger from around 1985 and 1986. The MAX-II was exactly like the select fire K2, except for having a semi-only fire control group. 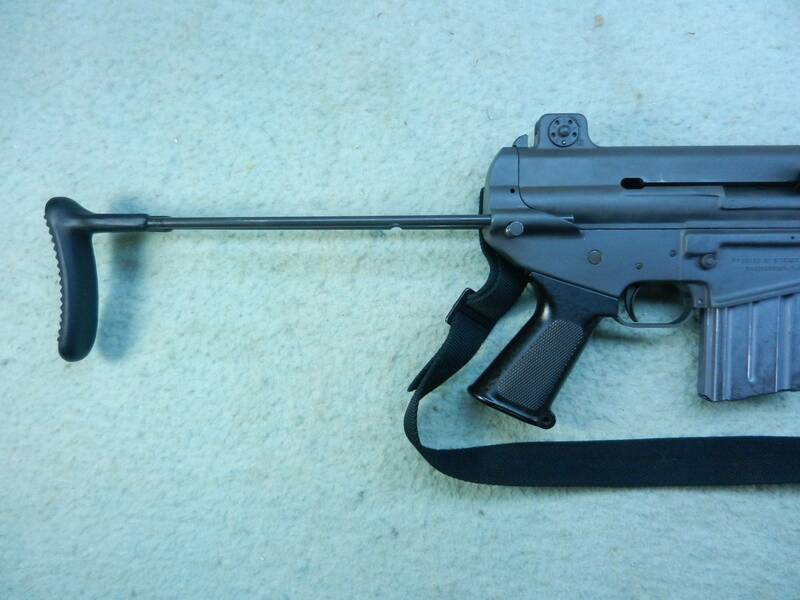 It retained the same folding stock, bayonet lug, flash hider, and it fed from standard AR15/M16 magazines. The MAX-I was the civilian version of the K1A and was the same too, except for being semi. Also, rather than having a 10.5" barrel with removable flash hider, the MAX-I had an extended 14" barrel with perminantly attached and extended full birdcage. Sometime in late 1986, Daewoo changed the name of the MAX-II to K2, and MAX-I to K1A1. AT this time Stoeger was still the importer. However, soon I.A. Co. would take over the partnership. Early I.A. Co. Daewoos were still marked K2 and K1A1; however, in 1988 there would be yet another change. The K2 was rebranded as AR100, and the K1A1 became the AR110C. Interestingly some early AR100s in the #45xxxx serial range can be found with the name engraved inside an oval. These rifles were originally marked K2, but then the name was machined off, which left a recessed area where the new name was then stamped. Something similar can be found on some preban IMI Galils during the time the importer changed from Magnum Research to Action Arms. The MAX-II, K2, and AR100 were identical; as were the MAX-I, K1A1, and AR110C. And when i say identical, I truely mean it. I've examined rifles with all of the different rollmarkings, and all were built the same with the same features and parts. The change was literally with just the name and importer. No one knows for sure why it happened either. One might speculate that the first was to make the Daewoos sound more authentically Korean, and the second was to make them more competitive with the Colt AR15 series (as well as the Beretta AR70 and Armalite AR180). That is just my guess though, and I have no evidence to support it. All preban Daewoos have full military features, and the same high level of fit and finish from beginning to end. There are only a few minor variations with preban Daewoos, most of which are found on very early MAX-II and K2 imports. For example, some early guns have uneven scope mounting points on the top of the receiver, with the rear post being slightly taller than the front. This was soon fixed though. 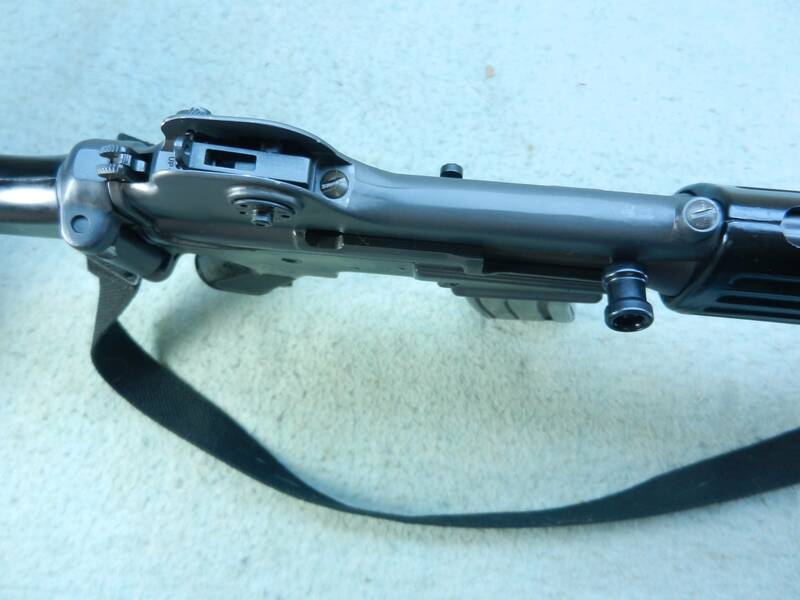 Also some of the original imports had the gas piston extension (or op-rod if you prefer) pinned to the bolt carrier; unlike on most where the two pieces were just held together by the receiver and good machining. The two pieces being connected was dropped as it was simply unnecessary and only complicated disassembly. Probably the biggest change was from a 1 in 12 to 1 in 7.3 twist rate. The early MAX-IIs came in with 1/12 barrels as that was still the standard at the time. However, this was soon changed to 1/7, and most MAX-IIs and K2s have been reported with this twist rate. No one can say for sure when the switch occurred, but looking at reported serials, it seems to have happened between 304xxxx and 330xxxx. This is only a guess though, so don't take it as fact. It seems that all AR100s came in with the 1/7 twist. All K1 types seemed to have the 1/12 bore, though a few people have claimed theirs do have the 1/7. One feature that seems unique to the MAX series is a double headed arrow stamped above the safety. This was done to show that the lever could be rotated either direction. Both my MAX-I and MAX-II have it, but the K1A1, K2, and AR100 all do not. Moving on, some MAX-IIs and K2s apparently came in without the safety lock on the takedown button so it could just be pushed to henge open the receivers. This ommission would bother me, and I am glad my own K2 types both do have the lock. Finally relatively late in production, Daewoo introduced a slightly extended, longer gas regulator. This part could be found on some AR100s and was included in most postban rifles. One would assume the change was made to improve reliability. 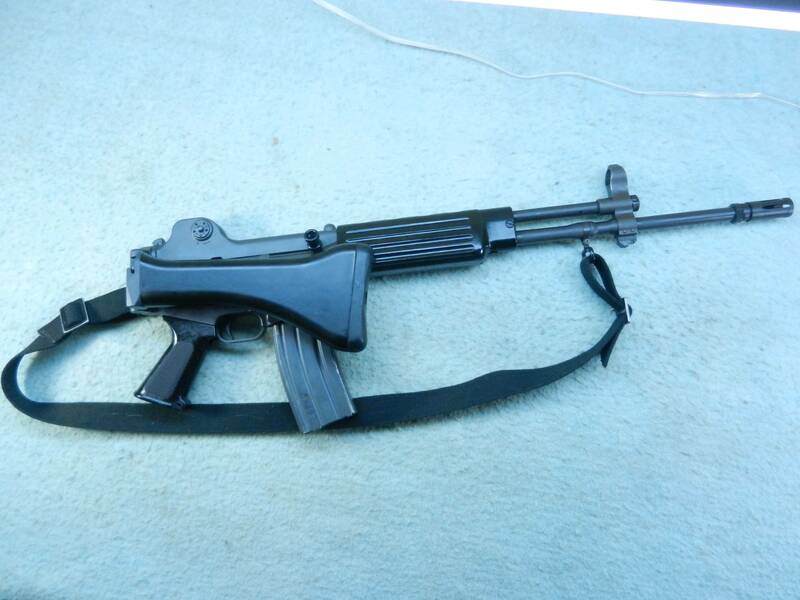 All in all though, a Daewoo imported in 1985 was virtually the same rifle as one imported in 1989. In 1989, President George Bush Sr. signed an executive order, which prohibited the importation of military style rifles for civilian ownership. This E.O. was an effective ban on the Daewoo rifle, and importation abruptly stopped that year. Thus Daewoos were offered in a preban configuration in the USA for less than half a decade. I have been unable to find exact numbers for how many made it in. Far fewer K1 types came in, with estimates ranging from 1,500 to 2,000 total, including all 3 variants. More K2 types came in, but even there it was only a few thousand; perhaps 5,000-10,000 at a rough guess. After the 1989 import ban, Daewoos along with many other foreign rifles were not available for a time in the USA. However, around 1991, B-West began importing the DR200, which was a ban-compliant version of the K2. Internally, the two designs were the same, with all of the changes being external and mostly cosmetic. 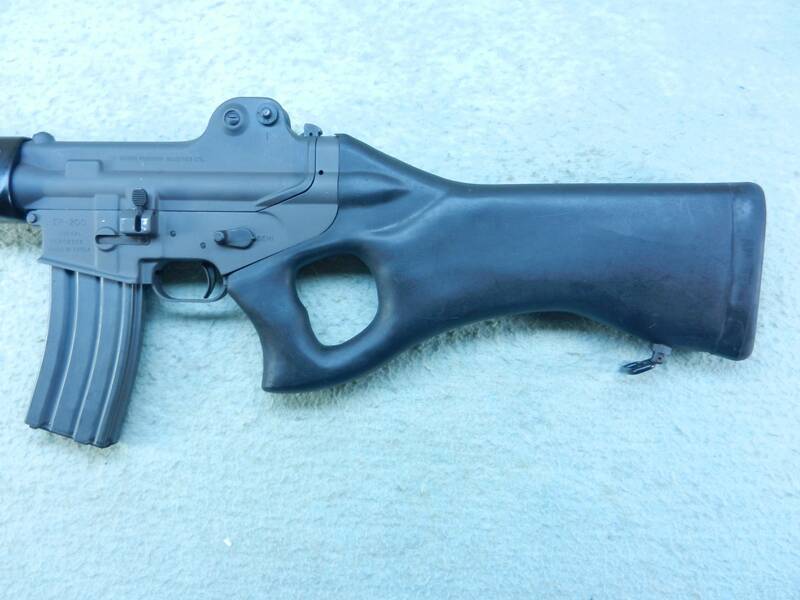 The K2's folding stock and pistol grip were replaced with a single piece fixed thumbhole stock. The barrel was the same, including being threaded, but a faux flash hider was installed on the muzzle and fixed in place. Also, the bayonet lug was machined off the gas block. 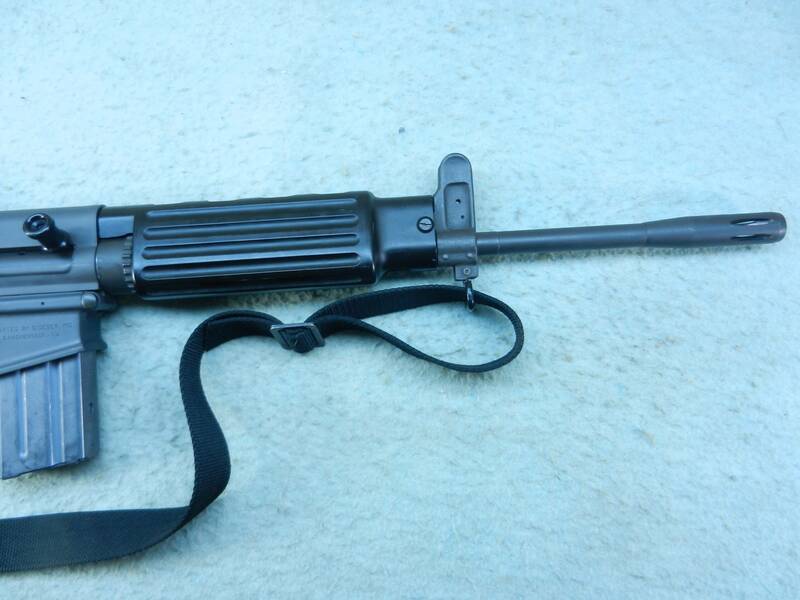 The DR200 still fed from standard double stack AR15/M16 magazines and came with a high-cap magazine. Everything else was the same, including sights, operating system, trigger group, and handguard. The DR200 was still a high quality firearm, even if it looked a bit wrong. Like the prebans before it, it was well respected by civilian shooters for its reliability and accuracy. 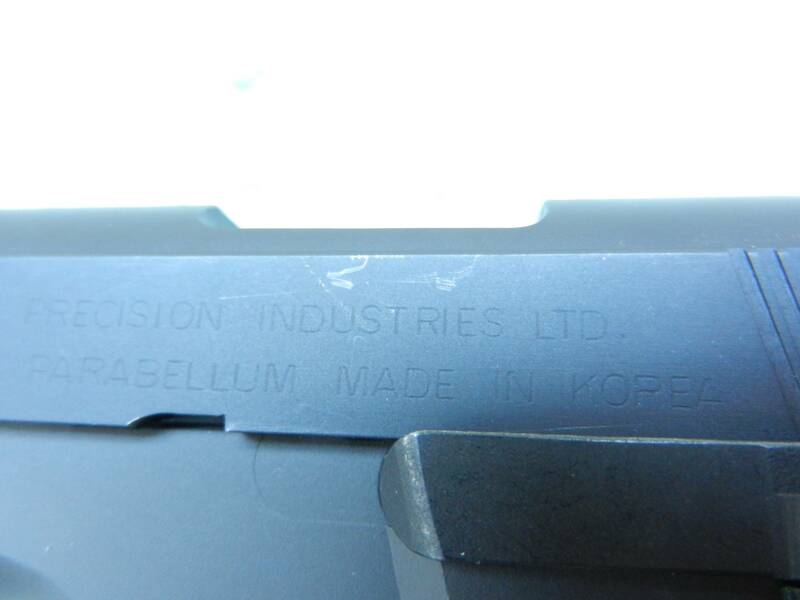 Around 1994, Kimber took over Daewoo importation and would ultimately be the final company to do so. Like B-West, it brought in the DR200; and also a new variant appeared, the DR300. The DR300 was the same as the DR200, except it was chambered for the increasingly popular 7.62x39mm M43 (Russian) cartridge. Back in the early 1990s, cheap Chinese ammunition was flooding the US market, and Daewoo wanted to take advantage of the craze. It used the same furniture and operating system as other Daewoos, but fed from proprietary magazines, and also lacked an adjustable gas regulator. In theory the DR300 sounded like a great idea but in practice it had two major short comings. First its magazines were never available in large numbers, and were kind of an AR/AK hybrid mess. Today they are quite rare and thus pricy. More importantly though, the rifle's bolt would crack after a few hundred to a few thousand rounds. This is because when Daewoo engineers modified the original bolt from 5.56mm to 7.62mm, they removed part of the locking lugs so it could accommodate the wider cartrage base. Also, it had a larger extractor, which meant one lug was reduced even further. Unfortunately, this weakened the bolt, so today one can find many otherwise nice looking DR300s with broken bolts. After the small lug near the extractor would shear off, the other six would soon follow as they could not handle the strain. It has been recommended that only high-grade brassed cased ammunition be fired in the DR300, which kind of misses the point since most Chinese and Russian ammo is steel cased. Not many DR300s were imported, perhaps as few as 1,500. In the end, in 1997, President Bill Clinton signed another E.O. which banned the importation of civilian firearms capable of accepting "high capacity" magazines (i.e. over 10 rounds). Just two years later, Daewoo Precision Industries Co. haulted firearms production after the Daewoo parent corporation closed its doors due to financial troubles. So the last new Daewoo rifles were sold off by American distributers in 1998 and perhaps into early 1999. By the turn of the millenium, the Daewoo was no more, at least on the primary market. As with the preban K2s, no one knows for sure how many DR200s were brought in. It isn't a huge number though, maybe something like 20,000-25,000 at the very most. Today even though S&T Motiv is again producing military firearms, it has not started civilian rifle production back up. So at this time, future Daewoo rifle imports appear rather unlikely. This little list is based on some observed serials and is not at all scientific and should not be taken as prooven fact. I am providing it just as a very general list and for research only. 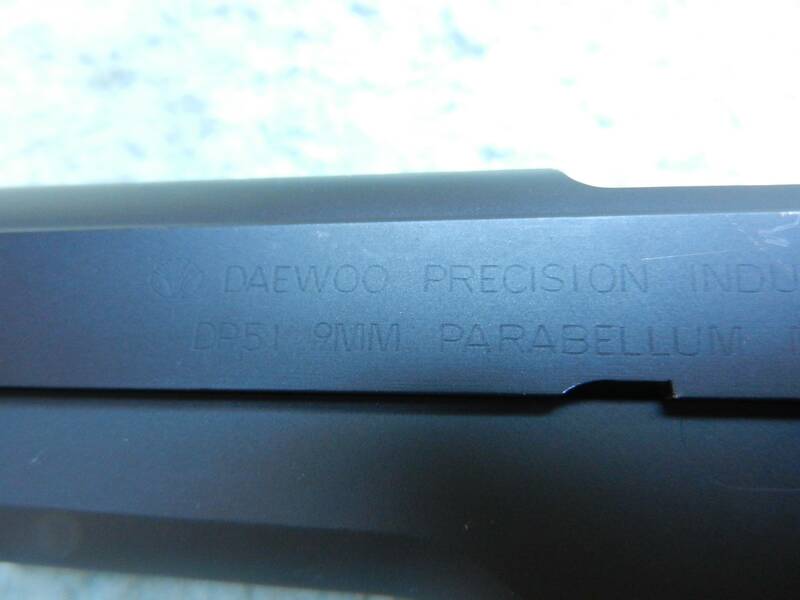 Interestingly, it seems that Daewoo did not always make its rifles in a strict order, with some higher serial guns apparently shipped out before some lower ones. Also, it seems that some serial blocks were skipped or done out of order. Since the factory has never released production information, we may never really know. 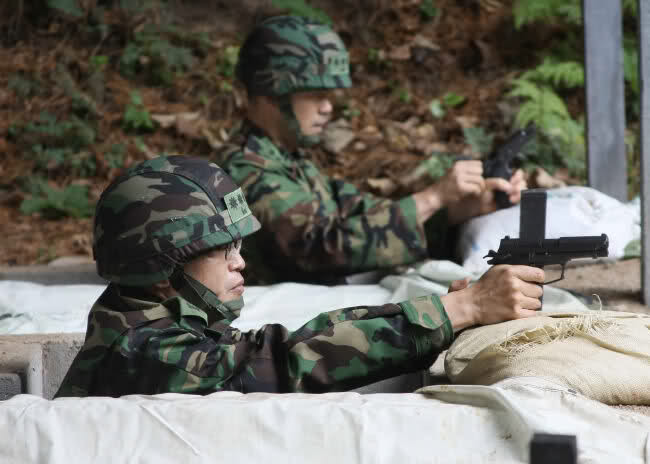 After developing their first submachinegun and assault rifle, in 1984 Korea turned its attention towards designing its first domestic military service sidearm. A short time later, Daewoo Precision unvailed the first XK5 prototype. It was tested by the ROKA and other branches of the military, and after further improvements, the design was finalized in 1988. The next year, it was officially adopted throughout the military as the K5 standard service sidearm. As with the K1 and K2, the K5 was not a completely new pattern. Rather again Daewoo took the best features from already prooven designs and combined them in new and interesting ways. In the end, the K5 became its own thing with some pretty unique features. Its overall pattern was heavily influenced by both the Smith & Wesson Model 59 and Beretta M92F/M9. However, bits from the FN-Browning High-Power (P-35) and SIG Sauer P226/228 can also be detected. The K5's frame is made from forged aluminium alloy, and is anodized to protect it from the elements. Its slide is also forged, and made from steel which is phosphated. The barrel is 4.1" long, cold hammer forged, and chromelined. It fires the standard 9x19mm Parabellum/NATO cartridge, and uses a Browning style short-recoil, locked breech operating system. The K5's standard magazine is double stack and holds 13 rounds (some sources claim it can be loaded up to 14, but neither of my mags will go past 13). As is widely published, S&W Model 5906 magazines will fit too, but will protrude a bit from the grip. Also, they won't lock the slide back after the last round is fired, but they will feed reliably. Other features include 3 dot military style sights, external slide release lever, automatic firing pin block, vertically ridged front and rear grip straps, checkered polymer grips, and of course; a lanyard loop. All of those features are pretty standard for a "Wonder-9" from the 1980s. 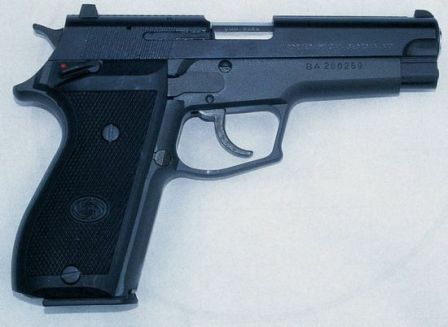 Interestingly though, Daewoo's pistol was nearly truely ambidextrous. It had a double sided 1911 style manual safety on the frame, and its magazine catch was easily reversible. Common features today, back then they were not always seen. The K5's biggest inovation however was its trigger system. It was originally called "Fast-Action," then "Triple Action" in the 1990s, and is known as "Double Action Plus(+)" today. Whatever you choose to call it, it was and still is quite unique. The system has three modes: standard single action with a short and light pull, standard double action with a long and heavy pull, and a new one. The Fast or Double+ Action has the hammer down, and a long but light trigger pull. Its a bit difficult to explain in words, so please view the companion video for a look at this system in action. Worth noting too, the safety can be engaged with the pistol in all three modes, and the slide can still be racked. 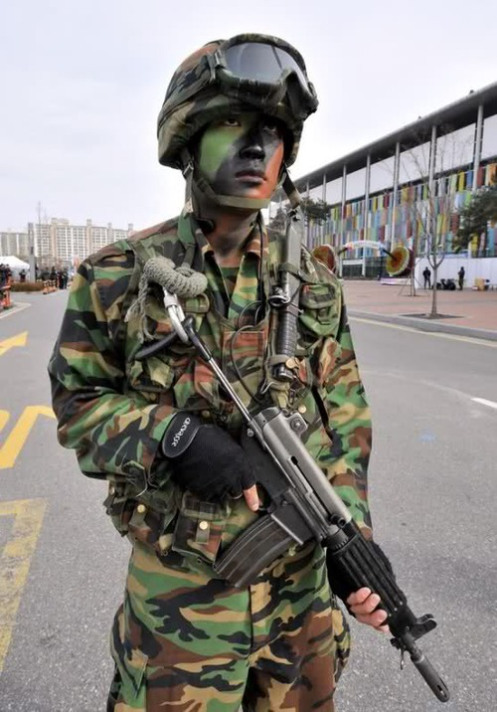 The K5 is standard issue for ROK commissioned officers, military police, and some security forces. It is also used by several special forces units, non-coms needing a sidearm, and is the most widely issued handgun in Korea among law enforcement departments. It has been in active service for over 25 years, and is still going strong today. It has prooven itself reliable, durable, plenty accurate, and flexible. 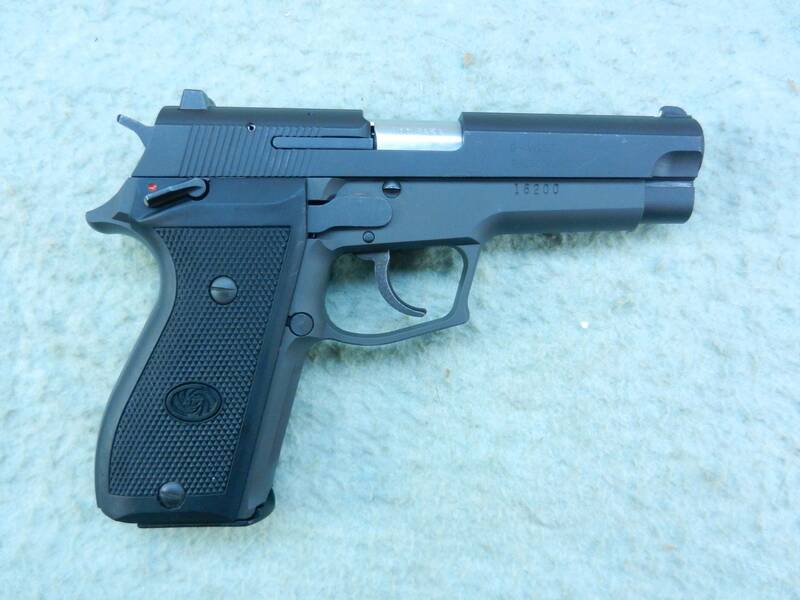 It is not a fullsized pistol like say the Beretta 92FS/M9, and might be best labelled as a Semi-Compact. 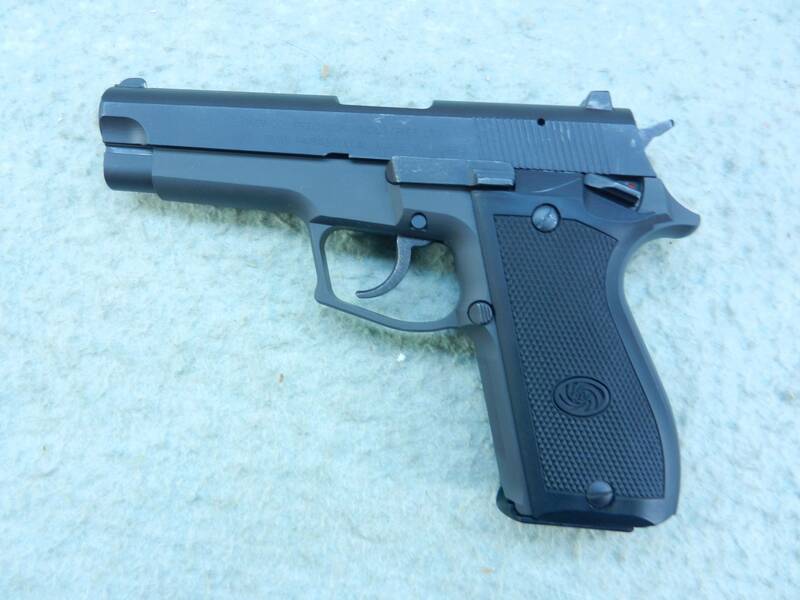 It has a slightly shorter than normal slide and barrel, and the grip is roughly the same size as the SIG P228/9. This is quite a nice size for daily carry or concealment, and allows the pistol to still be good as a defensive piece. It is also safe, with no higher accident rate than any other pistol in service. For civilian, law enforcement, and export sales the K5 is known as the DP51. It is the same pistol as has been used by the ROKA, and comes either with or without the lanyard ring. The DP51S is the 'Semi Compact' version with standard grip and shorter barrel and slide. The DP51C is the 'Compact' version with shorter barrel, slide, grip, and magazine (holds 10 rounds). The DH40 is a commercial version, chambered for the .40 S&W round. There was once also a DH45 chambered for .45 ACP, but it seems to have either seen only limited production or not even made it out of the prototype stage? 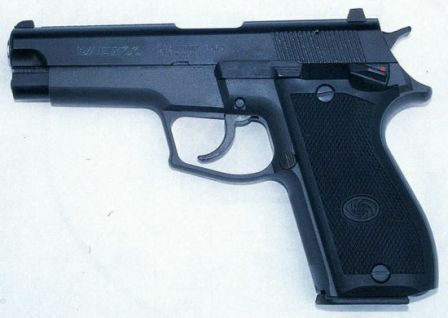 The Daewoo pistol series was imported into the USA first by B-West in the early 1990s. Then Kimber took over, and finally Century Arms handled things from the late 1990s until sometime in the early 2000s. Most recently beginning in 2011, Lion Heart International is once more bringing a Daewoo to the commercial market. The LH9 is an updated and modernized version of the original K5/DP51. The new model is built by S&T Motiv and stamped "Made In Korea." It uses the same operating system and trigger setup (now called Double Action Plus), but has a new Cerakote type finish. Other features include front slide serrations, an improved feeling trigger, custom tactical grips, and a redesigned ring type hammer. A Picatinny rail and Novak night sights are optional upgrades as well. It does lack the lanyard ring though. The LH9 is offered in either a standard/fullsize or compact carry model. At its heart though, its still a K5; a pistol which has been helping to defend Korea for over two decades now. Well, there you have a general look at one of the best and neatest military rifles of the late 20th century, and also its pistol cousin just for good measure. If you have a Woo too, please share it here!